Anna Maria has always been passionate about wine. 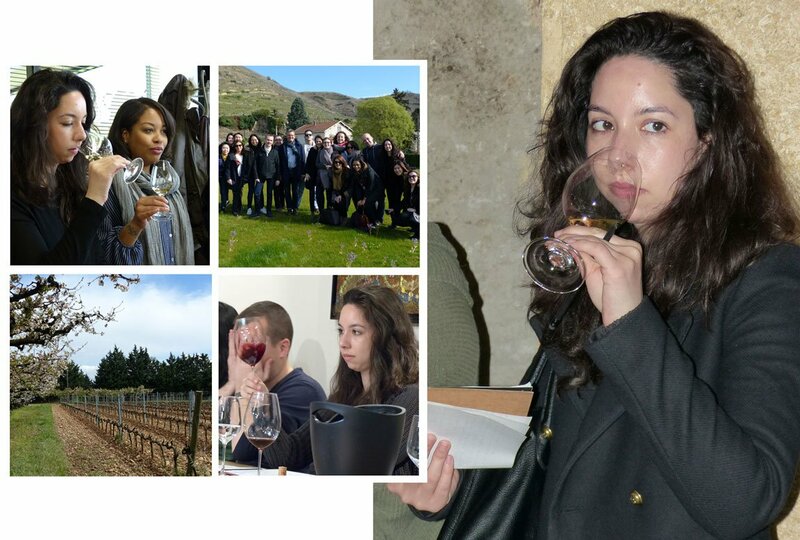 During her year at Le Cordon Bleu Paris, she had the chance to learn the whole process of making wine and to discover some of the French terroirs. After her graduation in 2016, she works as a sommelier for luxury restaurants in Paris but her ambitions won’t stop there! One of the main reasons I chose to study wine is the fact that my family and I use to make wine during my childhood. Experiencing the process of creating a wine from picking the grapes to tasting the finished product made me want to learn more and more. It is hard to pick one memory from a whole year filled with new and exciting experiences. I suppose my favorite moments were the trips we took as a group, driving through the French countryside and stopping at vineyards and estates to meet the people who work in them. It was then that I realized wine is so much more than a tasty beverage. When you drink it you are tasting a place. The soil, the climate, the moment in time that was captured by the grapes and bottled. And for me, that is magical. My career path so far has been short and sweet. I started out in culinary school on the Greek island of Rhodes learning from some great Greek chefs and working on my cooking technique. I was lucky enough to win a scholarship to study at Le Cordon Bleu which brought me to Paris. A year of studying the wines of France only made me more eager to learn so my career continued at La Tour d'Argent in Paris. I spent a year in that historic cellar and restaurant after which I decided I wanted a change. I am currently working as a sommelier at the 2 Michelin star restaurant Le Gabriel in one of Paris most exclusive hotels, La Reserve. Follow your passion, and be ready for anything! The time you spend as a student of Le Cordon Bleu will be over much too quickly! Every opportunity that comes your way should be seized! I am currently working as a sommelier at the 2 Michelin star restaurant Le Gabriel in one of Paris most exclusive hotels, La Reserve. The cuisine is French with many Asian influences and a focus on seafood. The wine list is wide ranging and consists of about 550 wines carefully selected to pair with the menu. I work with an international team who are great at what they do and constantly trying to improve every customers dining experience. I have plans to move to Bordeaux in the fall. As rewarding as my time in Paris has been I now feel like it is time to explore my passion for winemaking. I am currently searching for a job in a Chateau where I can learn the winemaking process while working in the vineyards and the cellar. My dream is to have my own vineyard so working with a winemaker is definitely going to be my next project.